We're excited to have you visit us at Shakespeare on the Sound! Whether you select General Admission or Reserved Seating with Admission, we know you'll have a terrific experience. Take a look at our seating options and feel free to call or email us with any questions. If you'd prefer not to reserve seats, feel free to come to the park at 4pm the afternoon of the performance to stake out a spot! No need to stay; you can put down a blanket and leave for dinner, although you're welcome to bring food and wine to enjoy a picnic in the park. Pricing varies; please take a look at our Ticket Pricing page. You are welcome to bring blankets, low-back chairs, or high-back chairs, as our House Manager "zones" different areas of the park to make sure all audience members have a great view. 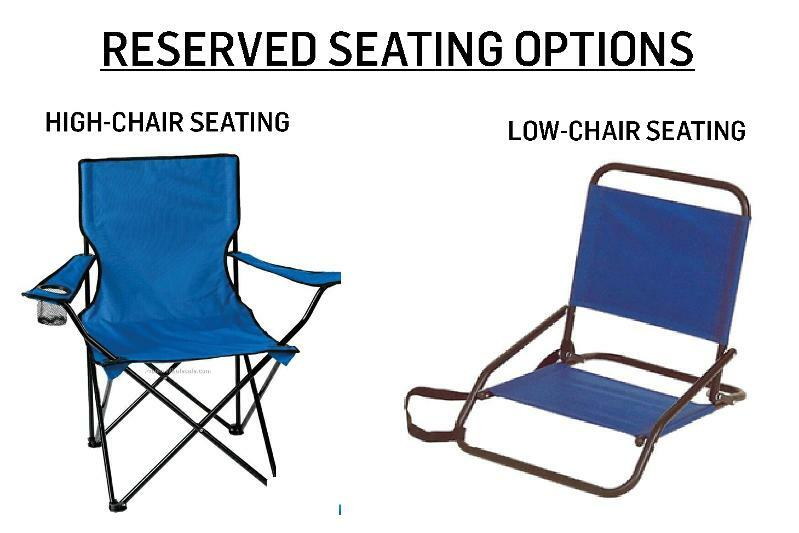 This option does get competitive, so we recommend that first-time visitors and those who can't stop by the park around 4pm take a look at our Reserved Seating options. Reserved Seating is assigned in order of purchase, and all seating is subject to availability. After 4pm on any performance date, remaining reserved seats will be available for night-of-show purchase at the box office in the park. We're excited to see you in the park! Click HERE to purchase your reserved seats.